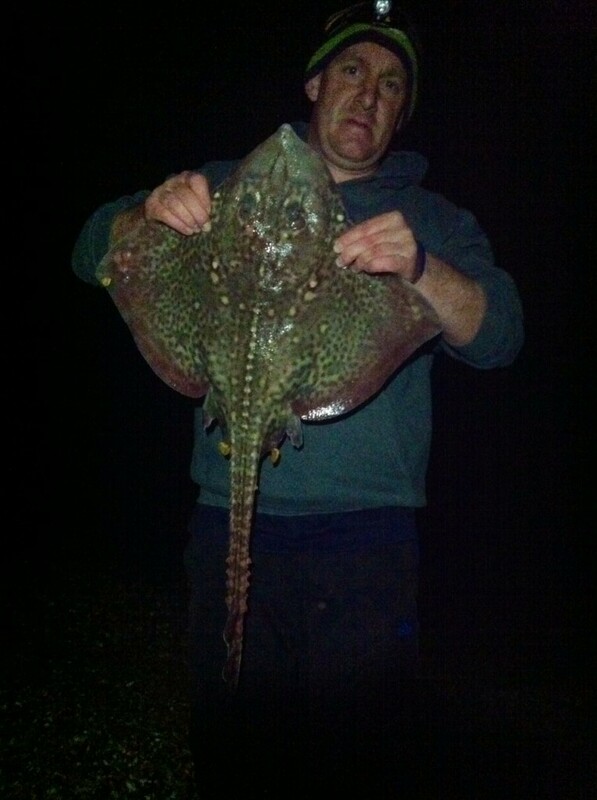 The Ray fishing in Dorset was pretty good over the weekend, as several nice fish were landed on numerous different marks. Ben Cass landed an 8lb Thornback from Abbotsbury on unwashed Squid fished on a pulley pennel rig at distance. Leo was persuaded by his daughters to fish Warbarrow Bay on Saturday. After a slow start they began seeing a lot of fish landed after dark. Mostly Pollock and Dogfish. 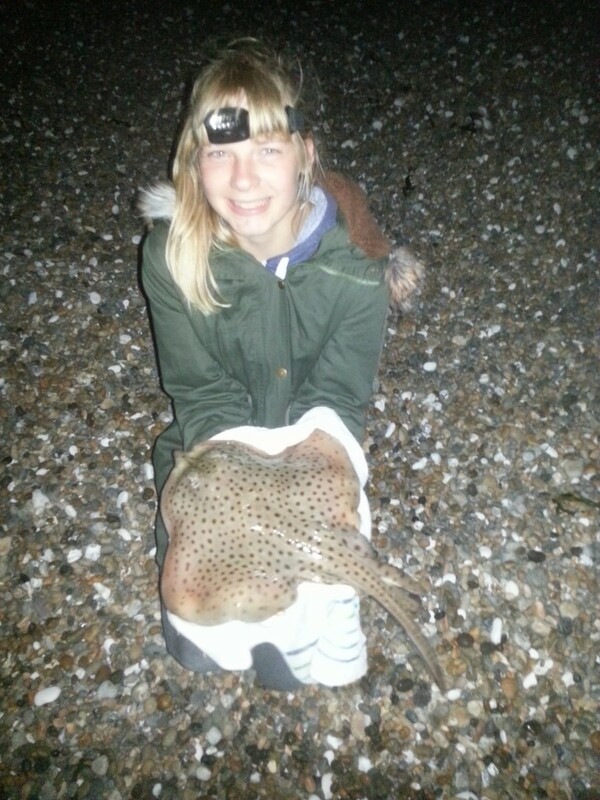 His daughter Chloe’s rod bent over and stayed over, as a lovely spotted ray took the bait. That wasn’t the only action at Warbarrow, as Leo watched as an angler fishing down from him had his rod almost pulled into the water. He went over to help and after a very good fight Russel Hayter landed this 11lb Blonde Ray. 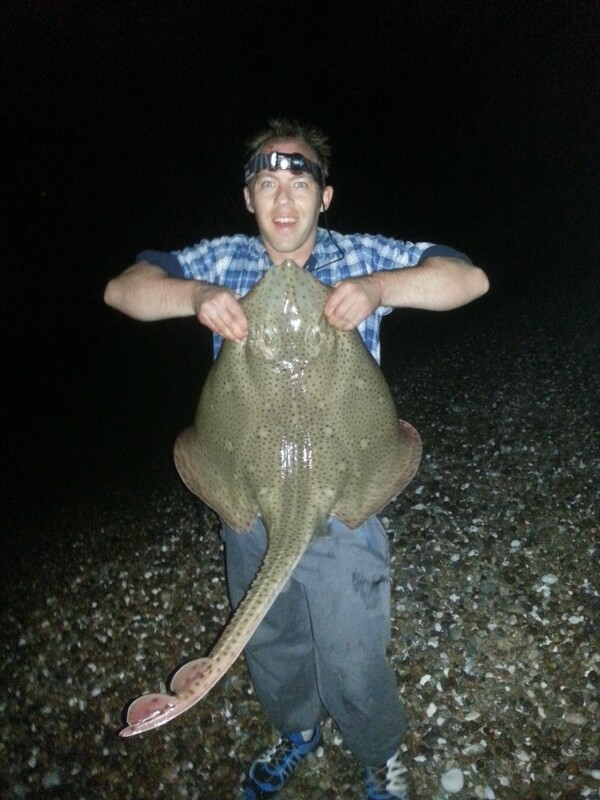 He managed it on a Portsmouth rig baited with Ragworm. It looks like we have a few good contenders for fish of the month this month. 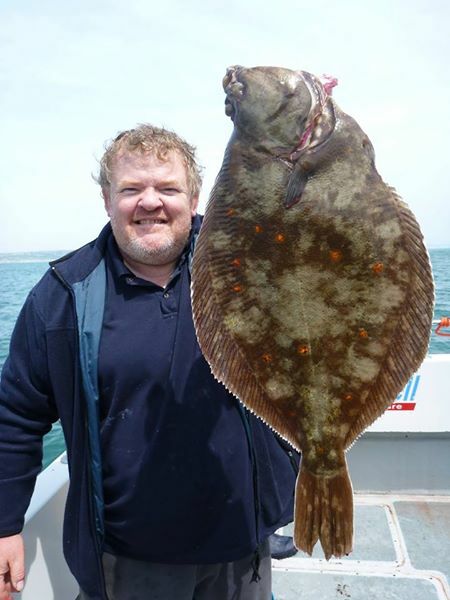 Talking of good fish Andy Young was out fishing on Offshore Rebel from Weymouth when he landed this monster Plaice. It weighed 7lb 1oz. Tomorrow (Wednesday 21st May) Darren from the Tackle Box at Lyme Regis is organising a walk from Lyme to Pinhay bay to do a bit of lure fishing for Bass. He is hoping that the new range of Seaspin lures will have arrived so he can try them out. I will be going and giving some demonstrations on how to use some of the lures, and give advice on which lures to use and when. We are meeting at the Tackle Box in Lyme at 5pm, so if anyone is interested in coming along then feel free to join us. We will be fishing the ledges from low water up. If you want more information send me an email, or contact Darren at the Tackle Box. 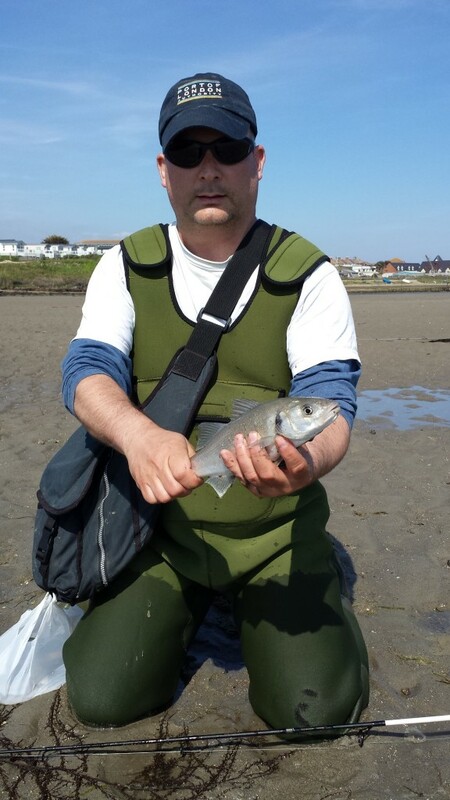 Portland Harbour: I managed to fish the harbour on Friday after some Bass with my friend Gavin. He managed a small Bass. I would expect to see quite a few more of those this week. He will be using this picture as an example of how not to take pictures using a mobile phone in his next article. Weymouth Bay: Finally and weeks late, the Mullet have arrived in Weymouth harbour. I will get my self down there at the first opportunity I can. Both piers will have Pollock, Pout, Wrasse and Mackerel on them. Lyme Regis: Mackerel from the Cobb and Mullet inside the harbour are the main target species at the moment. You will be able to pick up Flounder and the odd Plaice from the North Wall as well. Wrasse are a high possibility from the reefs surrounding the Cobb. 2 Responses to "A good weekend for the Rays"
Hi Sean, fished West Bex on Monday and 2 of us had over 80 mackerel. I took home 50 only reason pensioners cant get down to places like Chesil so kept them happy.Anyway i wish i had my camera there was shoals of macky chasing the whitebait within 20yds of the shore, like the ones you captured last year. Didnt last long but certainly gives you a smile.